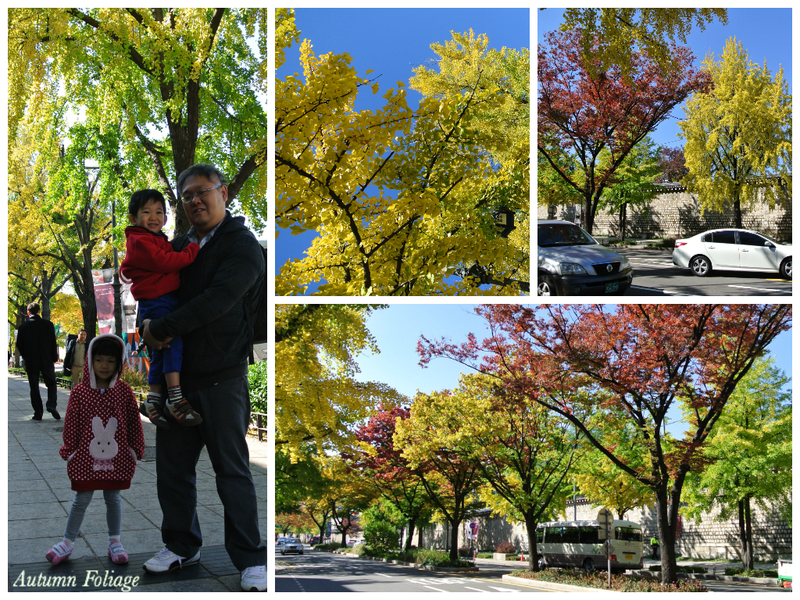 Officially the start of Seoul holiday. 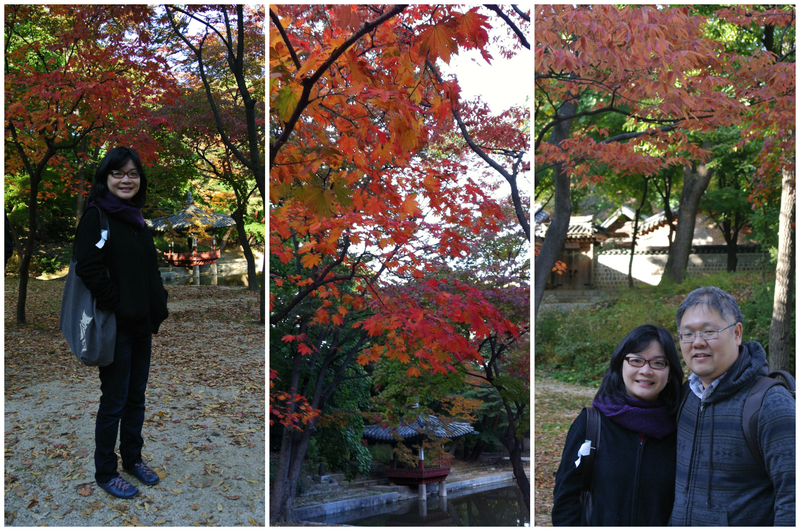 Today we took a cab to Samcheongdong-gil. 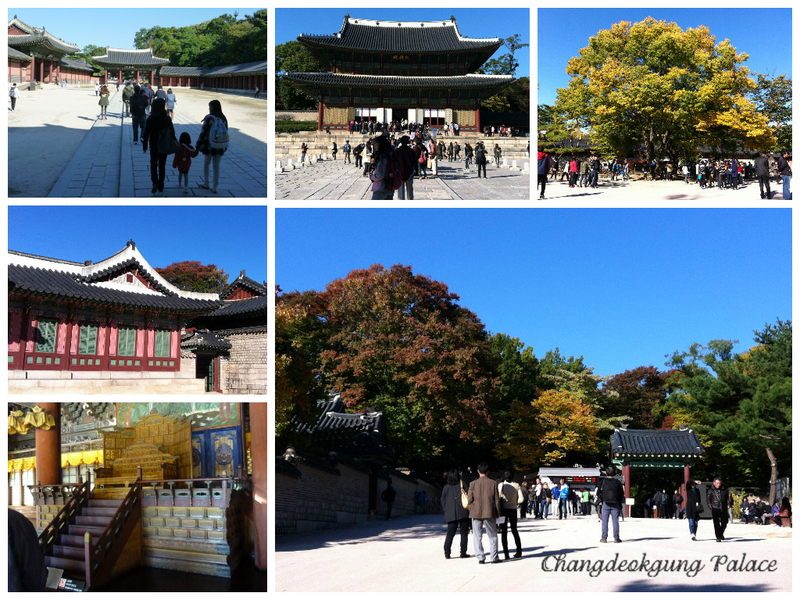 Samcheongdong-gil is beside Gyeongbokgung Palace. 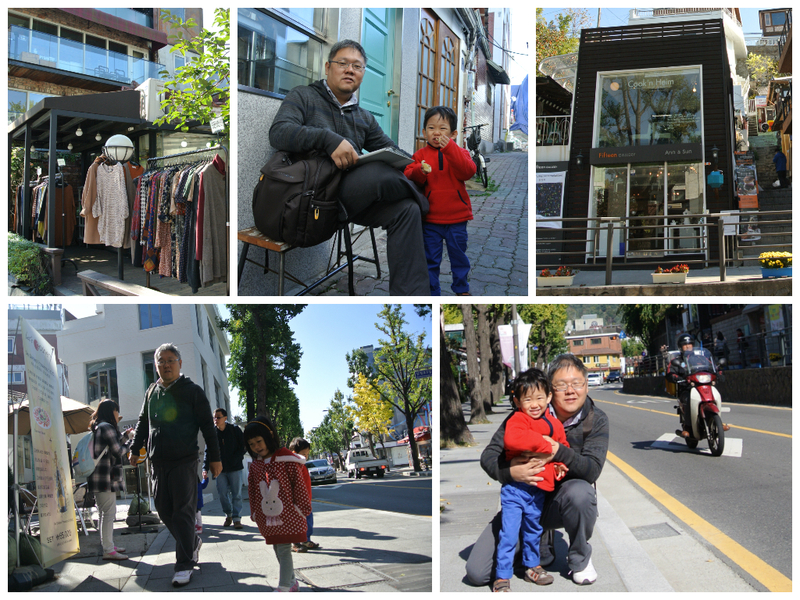 The street is lined with cafes, museums, antique shops and a number of famous art galleries. Many galleries have their own cafes, restaurants, or craft shops, allowing visitors to enjoy art, shopping, and lunch all under one roof. Nice place to walk and chill-out. 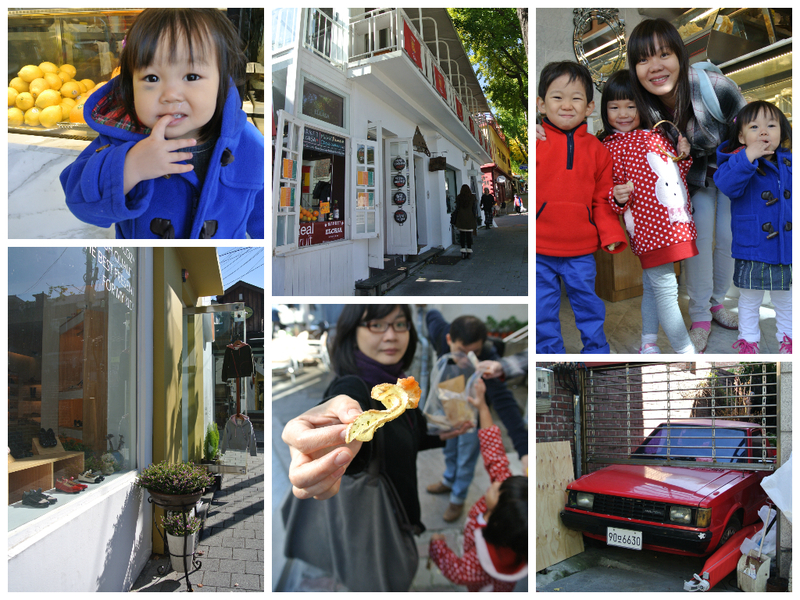 A walk up the steps from Samcheongdong-gil, we reached Bukchon Hanok Village. 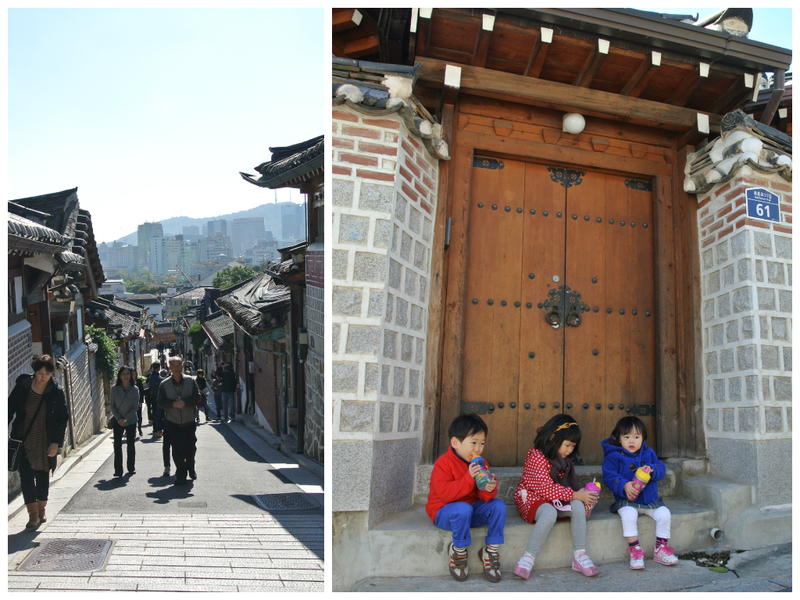 Bukchon Hanok Village is home to hundreds of traditional houses called ‘hanok’ that date back to the Joseon Dynasty. 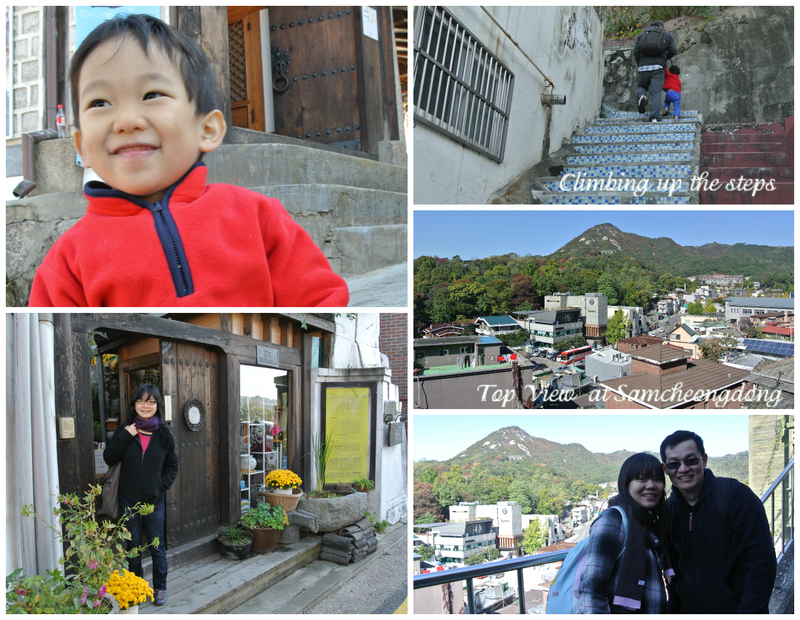 Since we climb right up to the top of Bukchon Hanok Village from Samcheongdong-gil, it was an easy downhill stroll from Bukchon Hanok Village to Insadong. 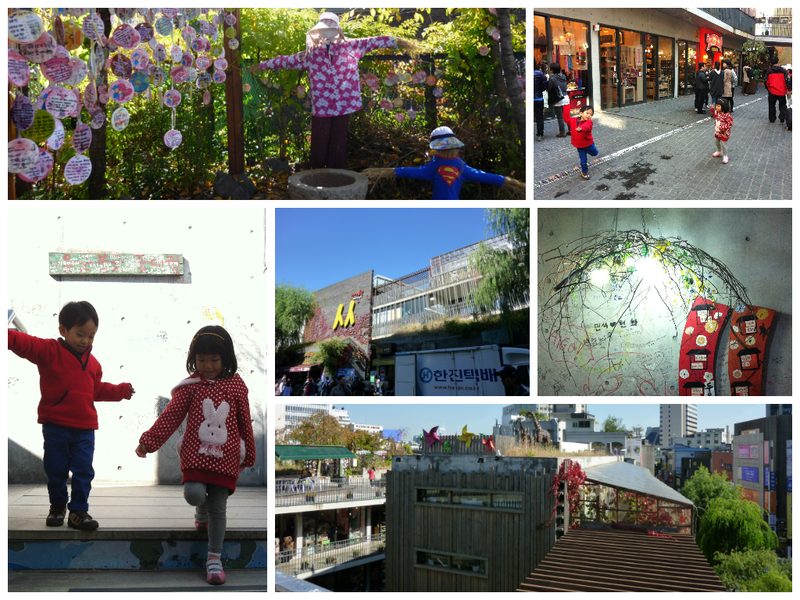 By the time we reached Insadong, it was closed to 1pm. The street is full of restaurant and it is difficult to make a decision to what we should eat. After walking for a while searching for a place for lunch, we decided a restaurant in the basement in one of the building. They served nice steamboat. If I not did not remember wrongly, the dumplings was really nice and we thought it was a good find. Unfortunately, I believe we were so hungry that no one remember to take a picture of the place. 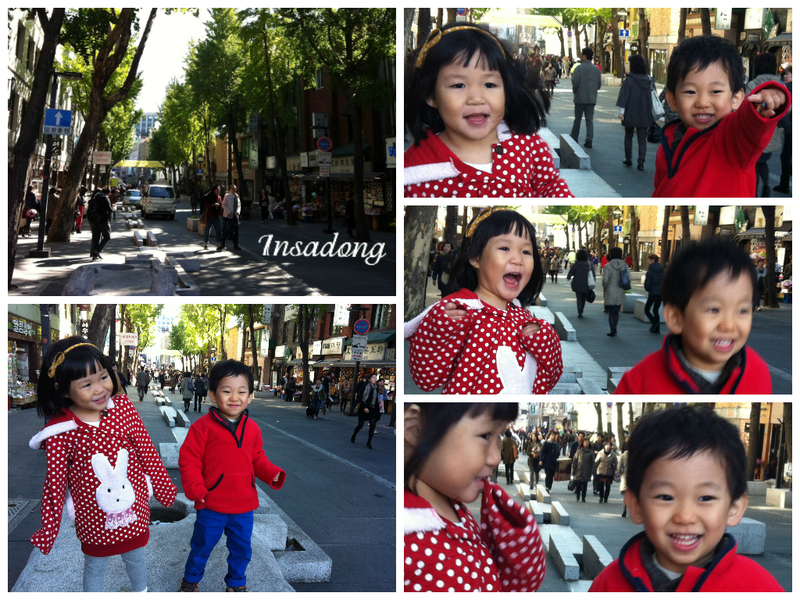 After lunch we decided to take a walk in Insadong, since our appointment for Secret Garden in Changdeokgung Palace is at 4pm (and yes, you need to pre-book a ticket especially for peak period). 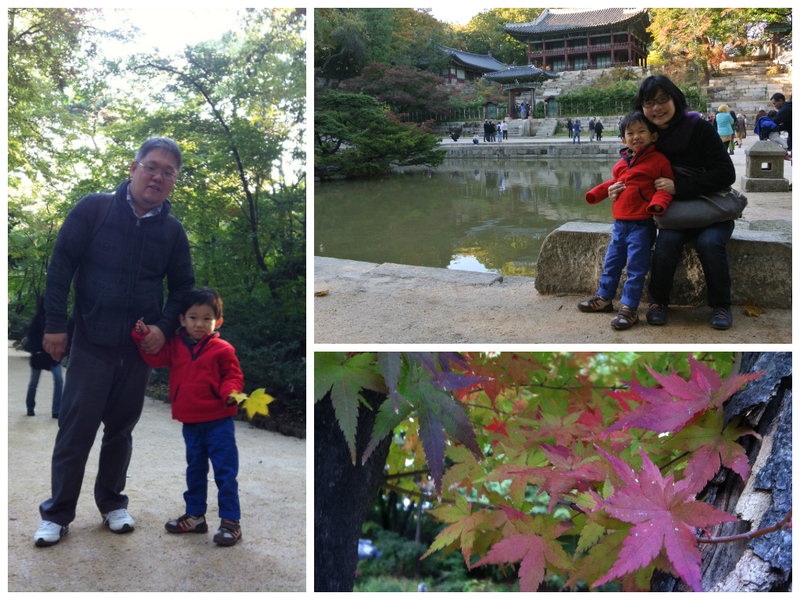 Next stop, Changdeokgung Palace. This is the only palace we visited in this trip. Our rationale is that with the kids, history will not be an highlight for the trip. 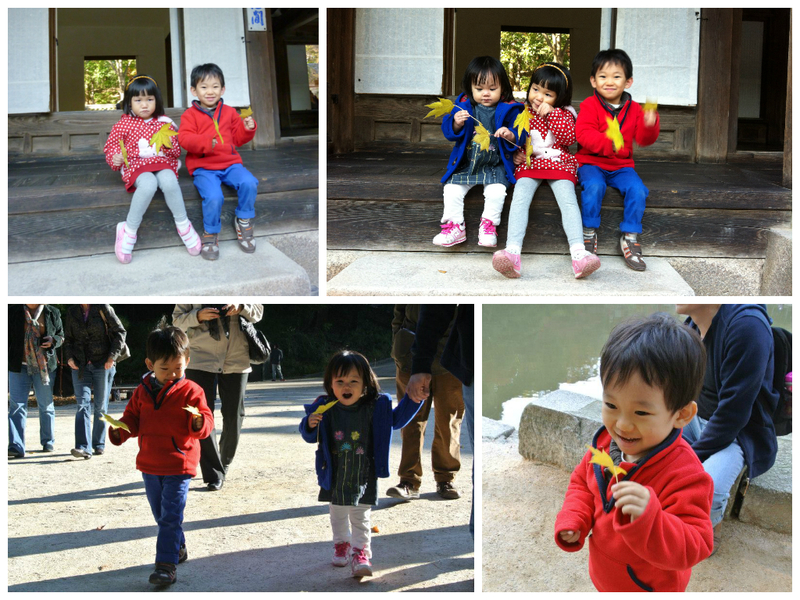 Therefore, we chose the most beautiful Palace to visit. No exactly for its architecture but more because of the rear garden, also known as Secret Garden. 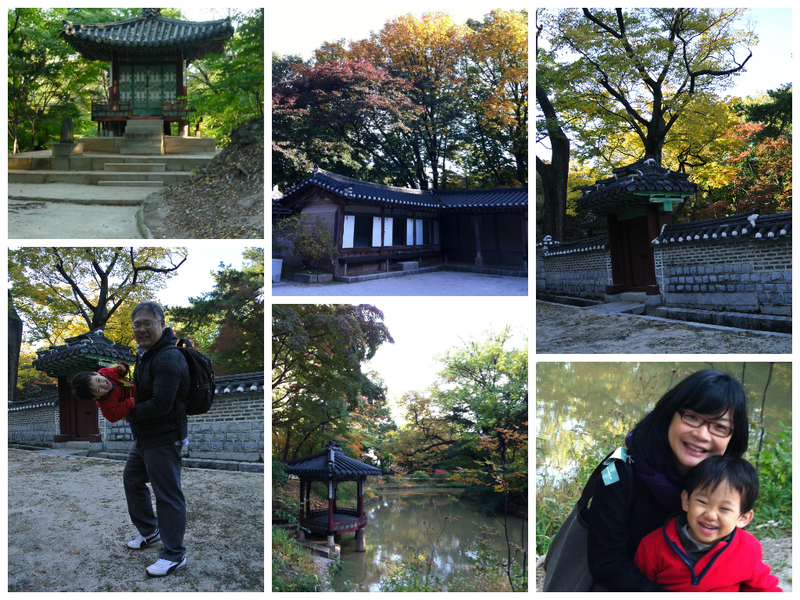 Changdeokgung’s rear garden was constructed during the reign of King Taejong and served as a resting place for the royal family members. The garden was kept as natural as possible and was touched by human hands only when absolutely necessary. For the kids, it was a nice place to run around and play. Unfortunately, it was a long day for the kids. 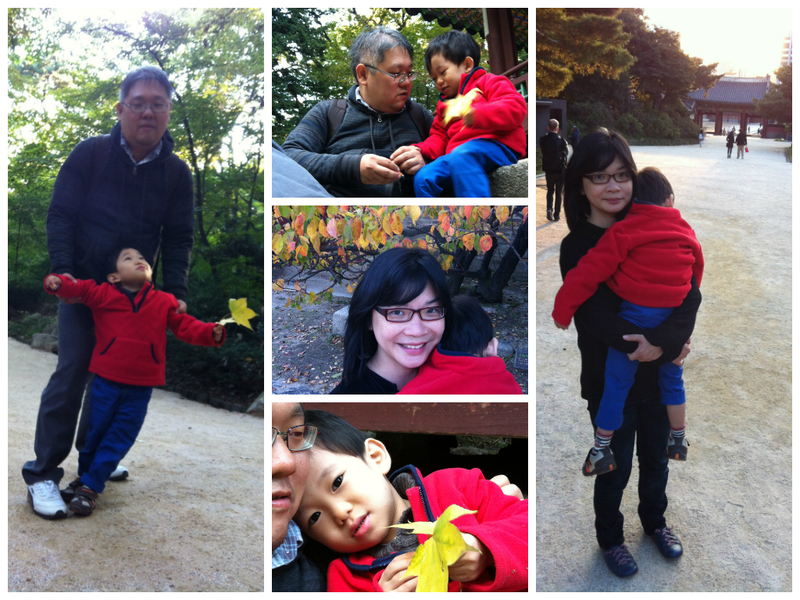 Jaydon fell asleep on the way out of the palace.